Spring is a time of rebirth, renewal, time for making positive changes in our life and our health and healing. When the potatoes, onions, and garlic, still in their bins, begin to sprout, it is a clear sign that spring is on its way. The rhythm of life cannot be denied when root veggies, tucked away in the cupboards of a home, know it is their time to sprout and bloom. I never cease to be amazed at the wonders of nature (and we are nature). There is a rhythm, an internal time clock in every living thing, that just knows when it is time to grow and change. Humans, as we are nature, know this too. We internally know when we need to shift, change, and grow. 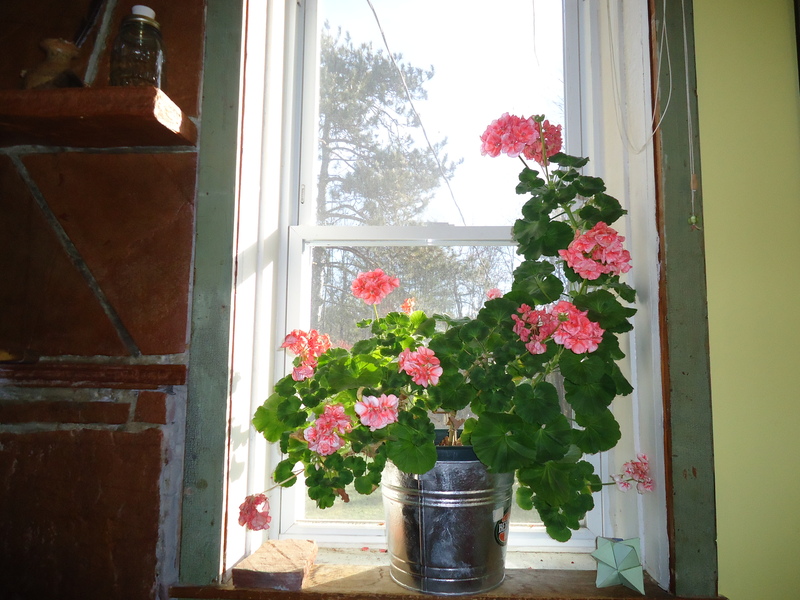 As my geranium reaches for the light every day, growing larger and larger, I contemplate where I need to grow towards light and learning; where I need to get "larger." What spring changes need to be made in your life? How do you need to change and grow to share the gift of who you are on this earth? 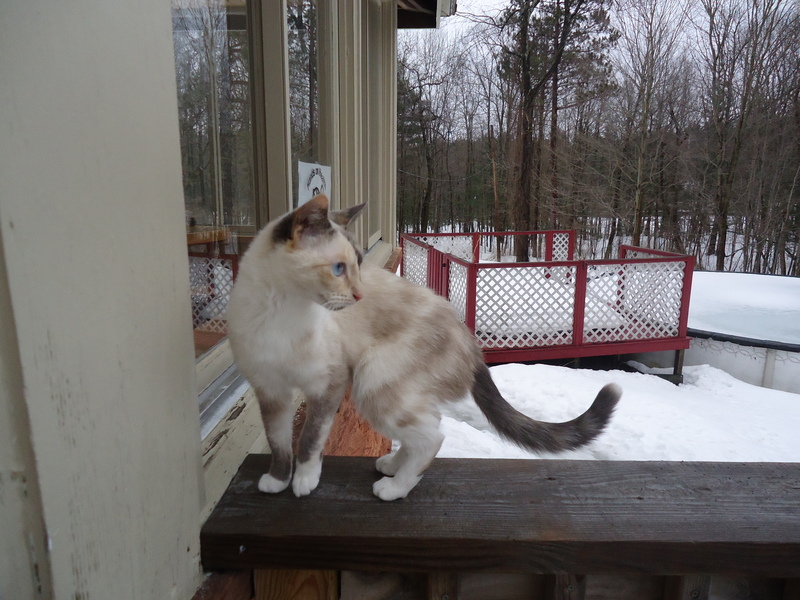 Further signs of the impending spring: My Siamese has not been outside in months! March 29th and she wandered outside for an hour! 1 tbsp. apple cider vinegar, the raw & local kind! Put the first 7 ingredients into a jar (a wide mouth quart jar works nicely). 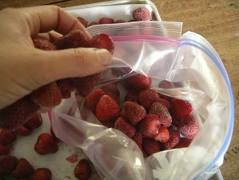 Smash the raspberries very well and add to the jar of liquids. Shake like crazy... with the lid on, please! Thanks to my sister Terry for sharing her kitchen art and magic. She was in the mood for raspberry vinaigrette and found herself in a "fix" without any on hand. With her whole food kitchen know-how, she created her own healthy, home version.